For Harlow Labour, it is a whole-hearted campaign against the library cuts and using evidence to support their argument as to why they should remain open. For the Harlow Conservatives, nothing has been decided yet and they also want to look at possible alternatives. The Tories look at the £14 million in Harlow Council’s reserves, Harlow Labour point to the £1 billion plus in Essex County Council reserves. The forty minute film of the whole debate brings everything sharply into focus. 8 Responses to "Harlow Labour and Tories exchange bitter war of words over possible library closures"
Another example of point scoring in the Council chamber. For all the demonstrations and petitions, it will only be action taken to make better use of the libraries that will save them from closure. The Conservative Cllr is right about Harlow Council reducing the rent of the library at the Stow, a step in the right direction. 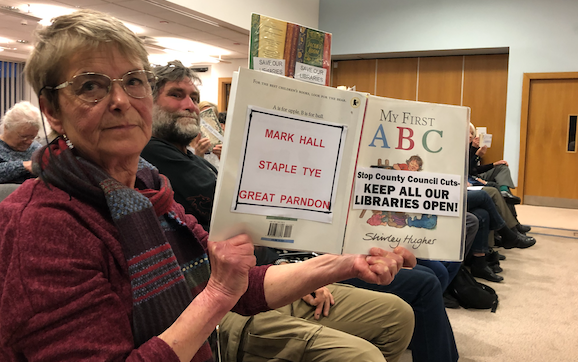 Having just visited the Staple Tye library and seen the huge amount of unused space behind the public area, The Harlow Alliance Party will again call for Harlow Council to decentralise some of it’s services into the neighbourhoods and turn libraries into a local community hub and share the cost of the building. In the longer term, the existing building could be demolished and flats built on the site with a new purpose built library on the ground floor. This would allow the Council to remove a couple of the towns open spaces on which it intends to build on, from it’s Local Plan. Vote Tory get a Tory. Vote HAP get a Tory. I hope that solutions can be found to keep the all of Harlow’s libraries open and professionally staffed. 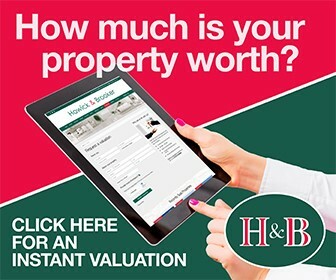 It may well be initiatives such as the ones you are suggesting could be looked at in the longer term together with other proposals to increase usage and footfall but the immediate priority is to avoid any closures. I am more than happy to be involved in any meeting or discussions with Essex County Council County Councillors in the hope that we can arrive at a favourable outcome for all of Harlow’s residents. Durcant, as our name suggests, we are an alliance of people who have no allegiance to any national party. My posts on this website demonstrate that we have sometimes agreed with Labour on issues and sometimes Conservatives. What we are doing is providing sensible solutions to issues which affect people in Harlow. Just as examples, build bungalows to give people the chance and choice to downsize to a smaller home, thus releasing houses for people cramped up living in flats, use libraries as community hubs, stop choosing to build on 8 play/open spaces when there are other sites available and there’s more. Nicholas Taylor, Harlow Alliance party candidate. Nick, this is an article about libraries, keep on topic please. And where will these bungalows go Nick, when the HAP seem to be against building of any kind? On stilts in the sky? Anyhow, what’s bungalows got to do with libraries anyway ? Without digressing further, I was making the point to Durcant that we that we are not Tories. What was the point of his post about HAP on an article about libraries? In response to Costanza, HAP are objecting to just 8 of the sites on the Council’s Local Plan. There are other sites which we would include. What we learnt at Harlow’s Local Plan Hearing is that the Council’s list of sites will as it stands produce over 1600 more homes than required by the government. The Council could choose to take out 8 sites containing less than 220 homes so ending the ‘blight’ on neighbouring homes and it would make little difference to the overall total, when in fact they could replace them on other sites.In the longer term, the library site could be used to provide more homes, with a library on the ground floor, helping to meet the Council’s target to get 50% of journeys taken on foot, bus or bike. Nicholas Taylor. Harlow Alliance Candidate. Costanza, i do love that you comment that this is and should be a post about libraries and then in the next sentence have a go at housing policy of a political party. Did the irony get lost on you when writing that? Or did you feel like writing it anyway to undermine your first point?